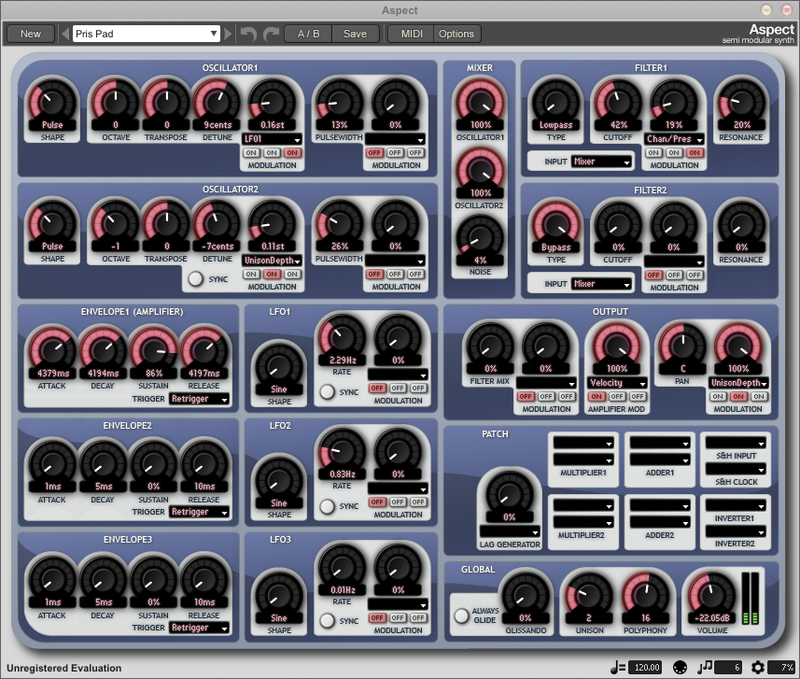 (Windows) For the Windows VST plug-in, when using a relative path of "." for the presets folder, the path is now relative to the plug-in's DLL file and not the host's executable file. This makes it possible to easily create a portable or USB stick install of Aspect. 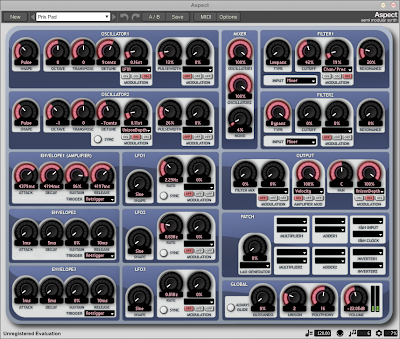 (Linux) User presets are now displayed in alphabetical order in the preset browser. (Linux) Improved UI font selection means that a more appropriate font is often used in any Linux distributions which provide only a small selection of default fonts. Fixed an issue where the OK button in the save preset browser would temporarily become disabled when switching from the Factory presets selection. Download Aspect 1.7.9 for Windows, Mac OS X, and Linux here.